In uniting the written word with fine art, comics have the potential to tell stories in ways impossible in all other media. Unfortunately, comics also play host to some of the worst, most nonsensical, basest stories and some of the blandest, most exploitative art available. It’s for this reason that pretty much anyone you ask will say they enjoy movies, music or books, but only one in a handful will say they consistently enjoy comics. But it’s not that there aren’t any good comics out there, because there are plenty. It’s just the reputation they have by now. Given that the public eye has suddenly turned to comics thanks to the success of the recent Marvel films, here’s a guide to help newcomers ease into the medium and understand what makes it unique, and often great. I don’t love every entry on this list, but they’re all essential reads to a new fan for one reason or another. This guide operates on several “levels,” and ideally you should read a work or two on each level before proceeding to the next. Comics are mostly dominated by superheroes, such that anything outside this area – or some other form of “genre fiction” like mystery or horror – is a strange outlier. And granted, it’s mostly these types of books that earned comics the reputation they have now as a medium. But there are a handful of them that are legitimately worth reading, and they’re the perfect entry point for anyone new to the game. You’ve already heard Batman’s origin story a dozen times before, but ask nearly any comic fan and they’ll tell you this is the closest we have to a definitive telling. 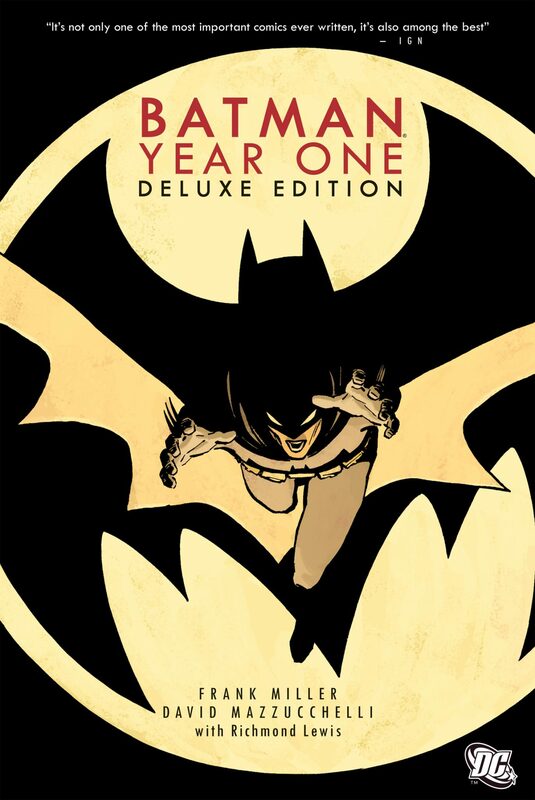 Frank Miller’s version comes with quite a bit of self-awareness – he knows going in that the story’s been beaten to death already, but he finds a way to create a relatable and grounded Bruce Wayne, one whose transition into superherodom is as difficult and unnatural as you’d realistically expect. There’s no Joker, no Batmobile, simply a man trying his hardest. 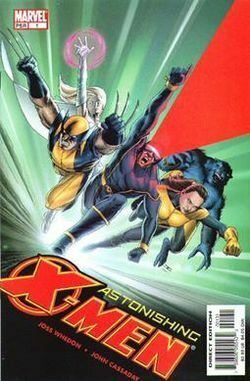 Astonishing X-Men might initially reek of everything you hate about superhero comics: too many characters, overwrought science fiction, elaborate back stories that only comic geeks already know, etc. But this is Joss Whedon at the helm, the creator behind The Avengers, Firefly, Dr. Horrible, Buffy, and a whole lot more. If you’ve seen anything he’s done, you know he’s a master at group character dynamics, and in the context of this series in particular, it makes for probably the best X-Men run ever published. Forget everything you know about the TV show – not only does the storyline differ rather drastically, but the comic is way better. 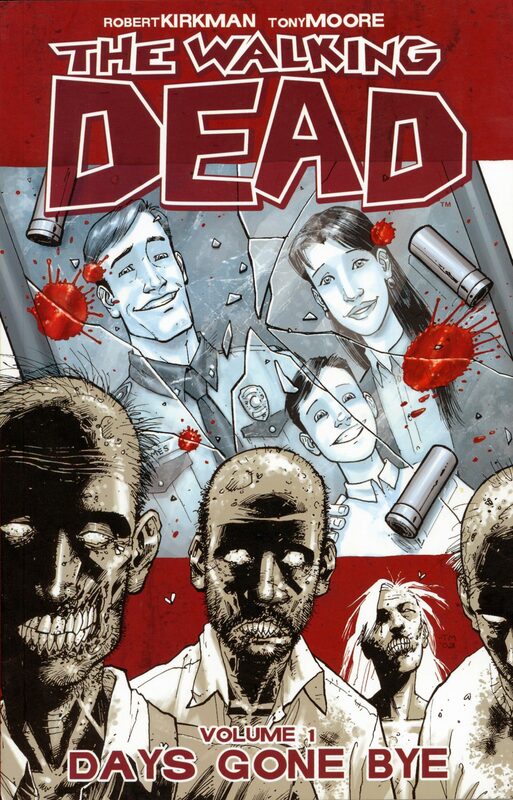 Complain all you want about the abundance of brooding in the show rather than zombie fights, but the comic thrives on those conversations and the rich, multi-dimensional characters that we meet through them. The Walking Dead explores how much the apocalypse tests and transforms people with remarkable depth, and I’ve never read another work that’s so simultaneously depressing and hopeful. As music has Sgt. Pepper and The Dark Side Of The Moon, as films have Citizen Kane and Casablanca, there are a few comics of undeniable importance, influence, and quality. You would be remiss to skip them if you want a true understanding of what comics can accomplish – many of today’s best works likely wouldn’t exist without them. 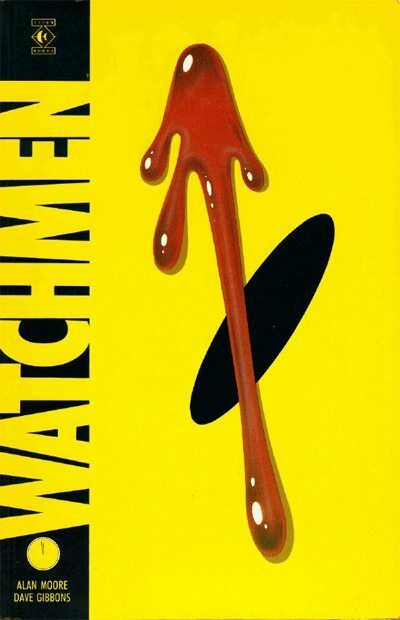 Watchmen is probably the most revered and acclaimed comic ever released, and though it may look like just another superhero story, it stands in direct defiance of everything you associate with Superman and Batman. Moore harshly criticizes the superhero ideal and the concept of herodom in a real-world context, and questions whether we may be better off without such figures. 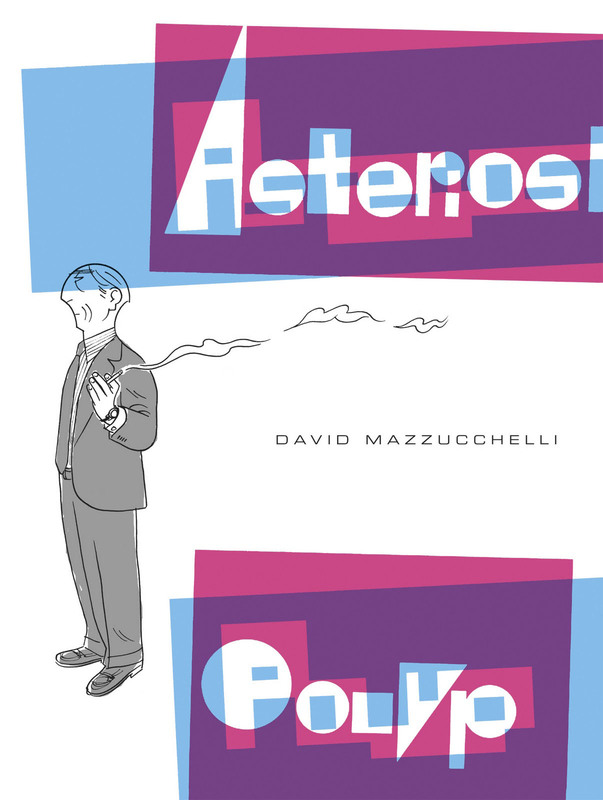 Not only does his incredibly creative story overflow with bizarre metacommentary on comics and unique, philosophically deep characters, but he also utilizes literary devices like nonlinear narrative and recurring motifs in comics in the first really meaningful way. And of course Zach Snyder missed the point of all of this in his adaptation, so you really owe it to yourself to read this and erase that piece of crap movie from your memory. Honestly, I have pretty mixed feelings about this one personally. It’s as powerful and depressing as any similar narrative, and it’s interesting to investigate the experiences of Art’s father as a Polish Jew during the Nazi occupation through the layers of history that separate them. 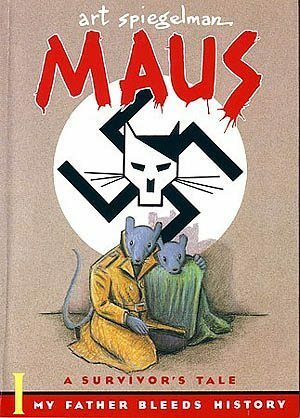 But look past the clever postmodernist technique of depicting the different races as different animals (and making the Jews mice and the Nazis cats isn’t a particularly subtle twist) and is there really much to separate Maus from any other Holocaust story? Still, Maus remains the only graphic novel to have won a Pulitzer Prize, and it paved the way for many of the literary and historical comics that would follow it. 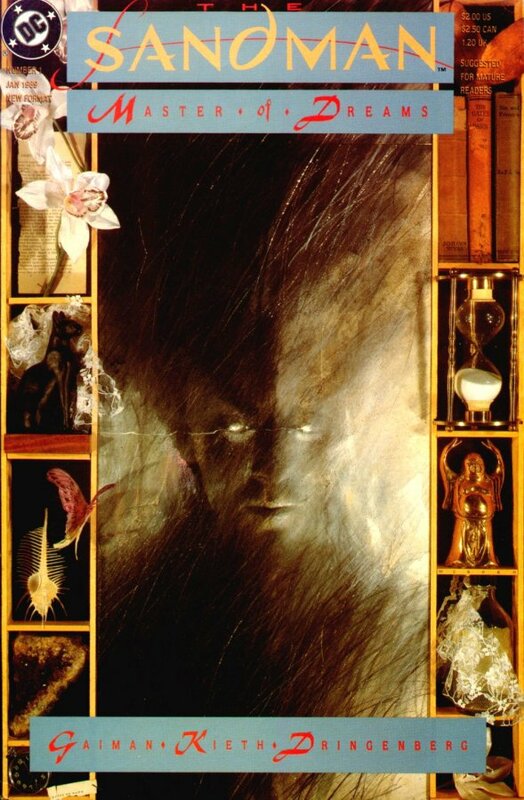 You might know Gaiman for his novels like American Gods, The Ocean at the End of the Lane or Coraline, or for his work on shows like Doctor Who, but his magnum opus is unquestionably The Sandman, a sprawling decade-long project that passed through the hands of dozens of artists. If you’ve read anything of Gaiman’s, you can see his fascination with mythology and the human relationship to fantasy – in Sandman, he lets all of it loose, exploring every realm of religion, psychology, high fantasy, and more, while still managing to craft an air-tight narrative that explores both Dream as a concept and as a character. Everything committed to page in the series is intense, clever, and undeniably cool. Level 3: Are There Any Comics About People Like Me? Comics only occasionally venture into what those in the writing world have pretentiously dubbed “literary fiction,” which basically means stories about normal people in a normal world doing normal things. Even many of the existing graphic novels in this genre do little with their visual element and read more like novels that happen to have pictures. But the comics listed here truly take advantage of their medium while still telling a grounded and relatable story. Thompson’s autobiographical tale overflows with complexity, beauty and heart on every page. 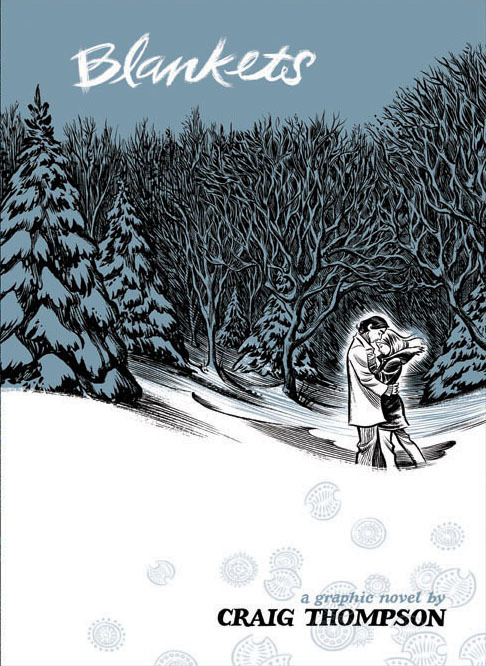 Not only does he consistently find moments of powerful resonance and heartfelt sincerity in this coming-of-age book’s honest depiction of his first love, his relationship with his brother and his love-hate relationship with Evangelical Christianity, but he also brings out vivid visual metaphors and incredible fantasy sequences with his art. 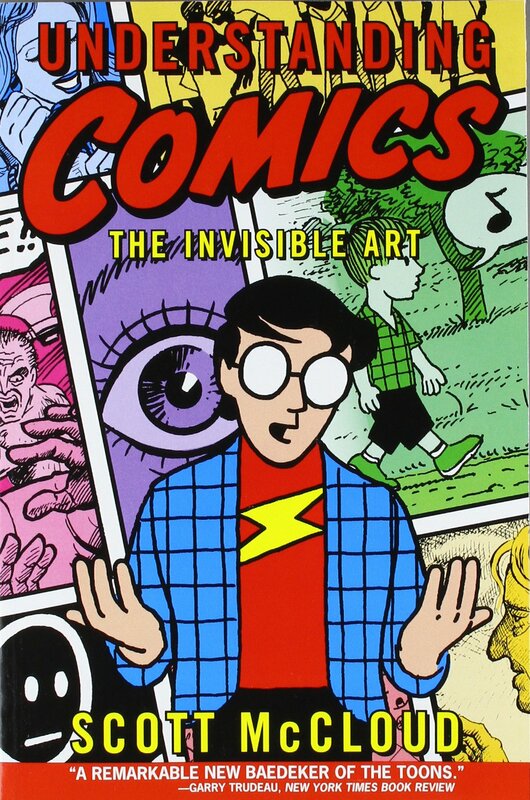 It’s probably my favorite graphic novel, but it’s also one of my favorite books ever, period. These both deserve a mention, and they both fill more or less the same niche – both are historical political comics about Iran, and both harshly criticize the country’s corrupt government. 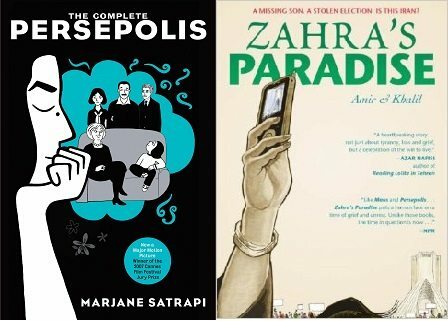 Satrapi’s autobiographical Persepolis has become an undisputed part of the graphic novel canon, and the story following Satrapi from her early childhood to adulthood pointedly encapsulates Iran as it stood in every period of this timeline. Meanwhile, the webcomic-turned-graphic novel Zahra’s Paradise is the one that I personally think is actually good, tossing off Persepolis‘s long-winded political rants and amateurish art in favor of efficient plotting, insightful artistic visualizations of Iran, and legitimate emotional potency. Still, both deserve a read for what they individually represent. 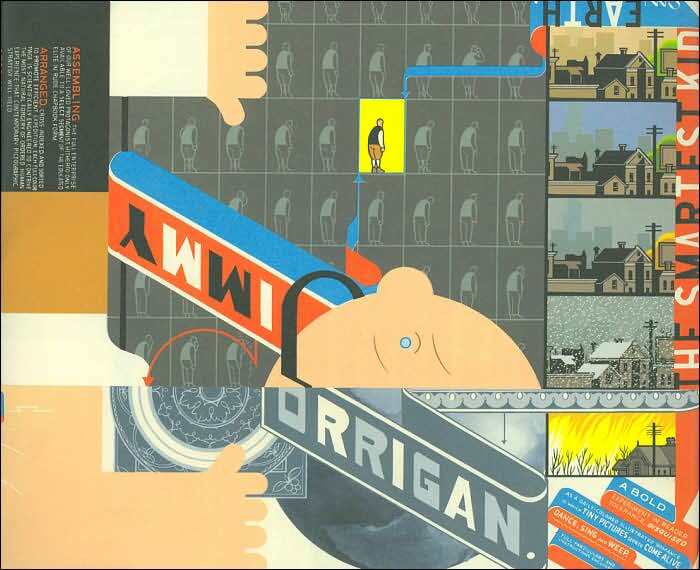 Jimmy Corrigan isn’t actually the smartest kid on Earth, and this isn’t the sensationalist fantasy book it sounds like. Instead, Jimmy Corrigan is a lonely, socially awkward adult struggling to connect to his long-lost father, and his story is so depressing in its tone that it can be difficult to even finish. Yet Ware’s intently literary approach makes this a comic unlike any you’ve seen before. Non-linear narrative, unusual motifs, subtle jabs at superhero culture, surreal sequences that may or may not be fantasy – it could have been bloated and pretentious, and it still is at points, but Ware somehow puts it together in a way that works in both plot and emotion. And finally, the no-holds-barred art comics. These books don’t just ask to be taken seriously, they outright demand it, and they’re more likely to be mentioned in the same breath as The Grapes of Wrath or Ulysses than Batman or Superman. In other words, these comics are the real deal. Most of this list wouldn’t exist without Eisner’s undeniable influence, and his achievements span far and wide – heck, the comic book equivalent of the Oscars are called the “Eisners,” and he invented terms like “graphic novel” and “sequential art” that would later become official industry lingo. But nothing demonstrates the unique abilities of Eisner as an artist (or of comics as an art form) like New York. A tribute to his birthplace and lifetime home, the book presents itself as a series of vignettes that follow the various objects, places, people, sounds and lifestyles of the city. 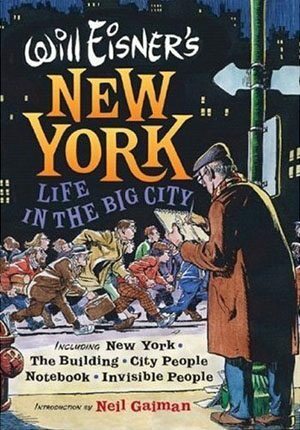 Many have tried to capture the essence of New York, but none have succeeded quite like Eisner, and it’s particularly impressive that he manages to do most of his storytelling through the art rather than the sparse dialogue. Maybe now that you’ve made it through this list, perhaps you’ve grown to appreciate what comics deliver that no other medium can – but how exactly do they do it? McCloud’s non-fiction book has become the go-to guide for understanding the way that comics work on our brains, tracing the history and evolution of comics, and unlocking the tool chest to create the greatest stories possible. Few people comprehend the bizarre medium better than McCloud, and he delivers his knowledge in an accessible and entertaining way: as a comic itself. I hope this guide helps you delve into this strange and intimidating world. Think a favorite comic of yours would have been a shoe-in for one of these categories? Let’s hear it in the comments.